The project consists of converting a turn-of-the-Century Army depot building into an artist studio complex. The project delivers 26 artist studios on three levels. Complete preservation of the exterior of the structure, as well as a complete seismic upgrade, are part of the project’s scope. The building also incorporates necessary improvements to achieve ADA accessibility. The project was completed under the National Park Service guidelines which mandate that the building have a clear reading of its historic use and be renovated in such a way that the building could be converted back to its original use if required in the future. To that end, the project was designed so that the shell of the building is completely visible and distinct from the new interior work. The new interior partitions were constructed of steel and plywood paneling so as to clearly distinguish the new from the historic shell. So that the existing 1 x 4 diagonal sheathing remained visible on the interior, new structural sheathing was added to the exterior to provide the seismic stability and provide an underlayment for the replaced wood siding and shingle roofing. Mark Cavagnero was the designer of the project in collaboration with the artist Leonard Hunter. 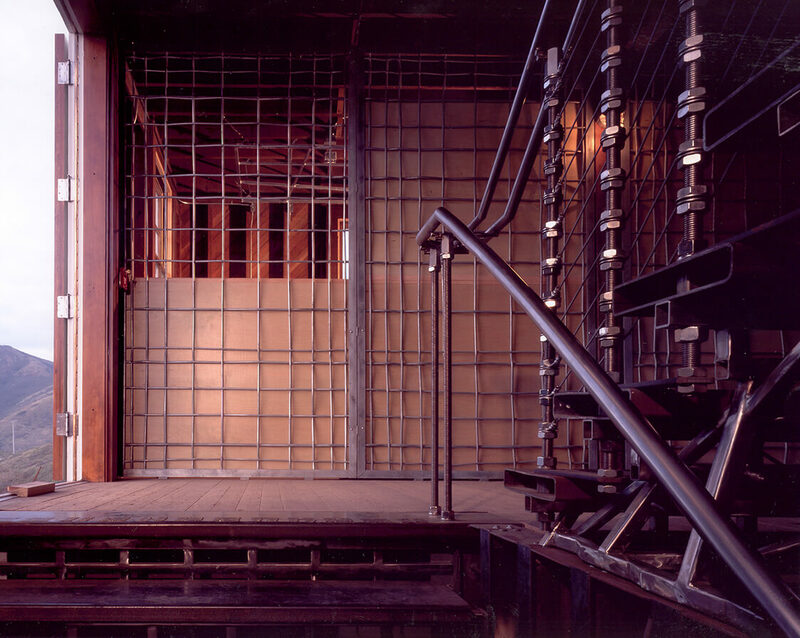 Mark and Leonard worked together on all aspects of the design, directing the team of artist and craftsmen who were employed on both a paid and volunteer basis to install the interior partitions and stairways. Roslyn Cole provided technical assistance and James McLane was the Architect of Record, producing the drawings for the permitting. The project was designed and completed in one year.